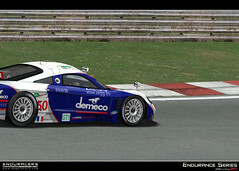 In my rFactor exist only your mod! Complete cars? 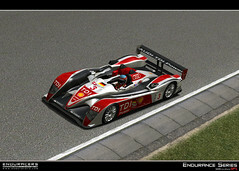 We already know what cars are in SP1. Unless, there's another surprise in store. I think complete lists cars skins, we know the cars but not the skins! I hope I can scroll this list in rfactor marc! There is no surprise sheduled, you already know the list of models delivered in the SP1, we will diffuse the complete list of cars with all skins to be released. And some other stuff ! Apparently the endplates should be a little taller. Do you already now when you will share the skins n cars list? Not mutch ! You will have some maybe this weekend, with the lists and something else. ... Looking forward to "it", what ever it may be. 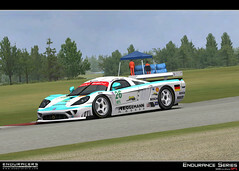 You got enough time to get bored of GT5 and then we can release the mod. 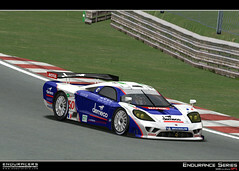 I haven't got PS3 so I've been bored by the whole GT5 hysteria for at least 6 months now. 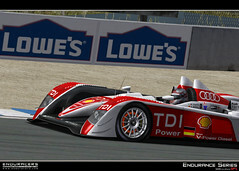 It's hard to beat GT5 on looks, but you surely can get us something that drives and sounds better. To make you wait, here are some fresh shots about some of the last additions to the SP1 features, in particular RIMS. Indeed we've created and included in the SP1 brand new OZ rims, available in all different configurations (14 spokes, 15 spokes, offset configurations, different nuts,...). Hope you will like them ! 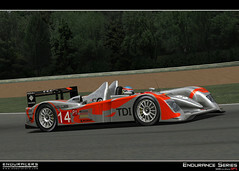 That would be the 2010 24LM Kolles skin? Good looking, love R10! Great shots! Thats my new desktop background! Thanks for the addition and the screens! Are thse OZ or BBS? I thought they were OZ but there are some BBS decals on the car. These ones are not OZ rims, but anyway new rims.